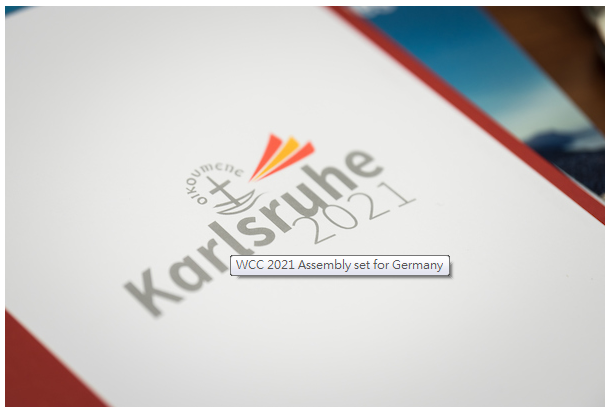 The World Council of Churches (WCC) Central Committee has decided to pursue plans for the WCC 11th Assembly in 2021 in Karlsruhe, Germany. The WCC assembly, held every eight years, is central to the life of the WCC member churches and the entire ecumenical movement. As a unique event, it provides the opportunity for WCC to continue its journey as a living expression of the fellowship of churches seeking to fulfil together their common calling. The assembly is also the head legislative body of the WCC, and it reviews programmes, determines the overall policies of the WCC, elects presidents, and appoints a Central Committee which serves as the chief governing body of the WCC until the next assembly. In 2016, the Central Committee tasked an Assembly Planning Committee with examining the nature and style of the 11th Assembly, envisioning the potential theme, exploring the spiritual life and communication possibilities, discussing assembly participation and seat allocation, alongside financial matters. A letter of invitation to host the 11th assembly was received by the WCC in June 2016 from the Evangelical Church in Germany (EKD). All 20 Landeskirchen – United, Lutheran and Reformed churches – that comprise the EKD have expressed their willingness to host the assembly. Other WCC member churches in Germany as well as the Council of Churches in Germany also support the hosting the assembly. The Protestant Church in Baden became a united church by petition of the people in 1821, so the assembly will also coincide with the church celebrating 200 years of being united in 2021. The churches in the “trans-border region” between Germany and France have a special vision for hosting – to strengthen the unity of Europe and its relationship with the world. This would be the third assembly in Europe, the last one being 50 years ago in Uppsala in 1968.